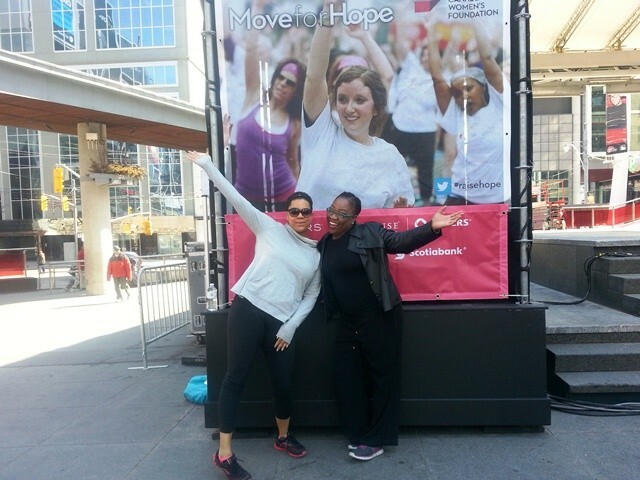 We wanted to say thanks so much if you were able to donate (or just cheered us on) towards our efforts to raise funds for the Canadian Women’s Foundation 2014 Move for Hope. In that short time, we were able to raise $725 thanks to your generosity BUT if you missed the deadline and would still like to donate – fear not. They are always raising funds so you can always jump over to their website for more information. 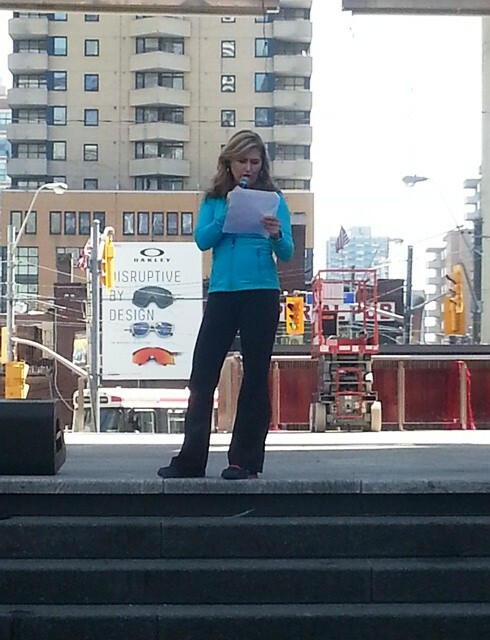 It ended up being a beautiful spring day with a great turnout at Yonge-Dundas Square. Team TNL had SO much fun working out with all the other participants. 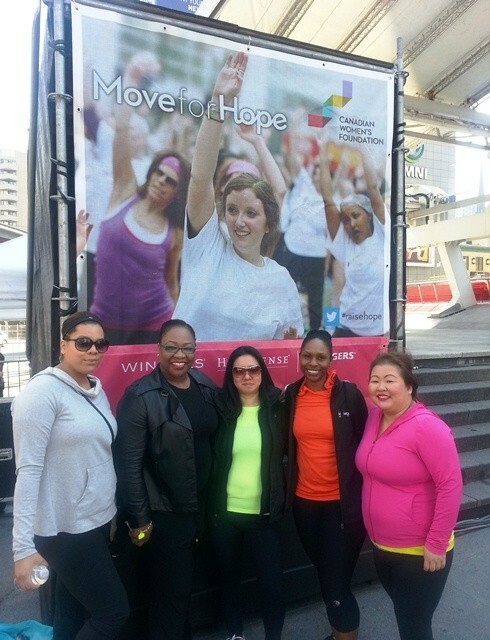 The one-hour workout (hosted by BT’s Jennifer Valentine) was led by 4 GoodLife Fitness instructors – shoutouts to Diva Steve – and we couldn’t believe how quickly the hour went by as we zumba’d our little hearts out with the other brave souls! 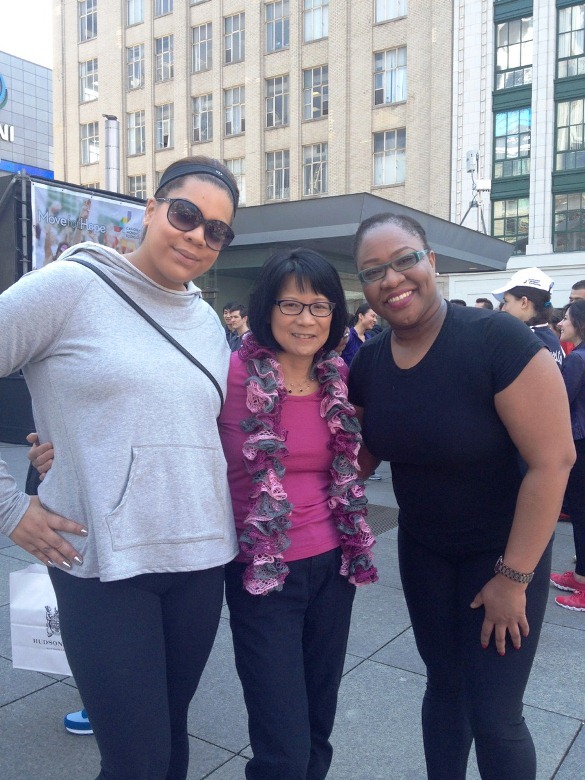 It was also a nice treat to see Olivia Chow (Toronto mayoral candidate) also at the event. We would have taken some “during” pics, but ya know… we were too busy shaking our booties. (Hope on over to our previous post to see pics from 2013). A *special* thank you to the lovely ladies who joined us (in NEON!) to form Team TNL – Vann-Ly, Liz and Sidney. You guys rock – especially since you already told us that you want to do this again next year!